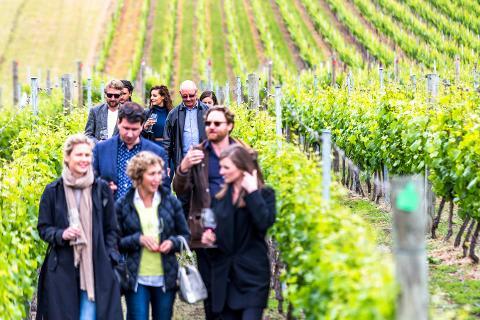 Our Drink Tasmania SIGNATURE FULL DAY TOUR takes you to 6 of southern Tasmania’s best craft beverage experiences in the Huon and The Coal River Valley, plus a number of special stop-ins along the way. BROOKE STREET BRIGHT EYES / HOME HILL WINERY / PAGAN CIDER / WILLIE SMITHS ORGANIC CIDER / SULLIVANS COVE DISTILLERY / LAST RITES BREWERY and HOBART BREWING CO.
TOUR INCLUSIONS: Tea/coffee on arrival / visit a winery, cidery, brewery and distillery / Full tour and tastings with on-site staff / approx 4-6+ tastings at each location / meet the makers / industry-led tour guide / travel in air-conditioned van / bottle purchases available on the day. All tastings included. *Lunch to be purchased on the day approx $20-$25. 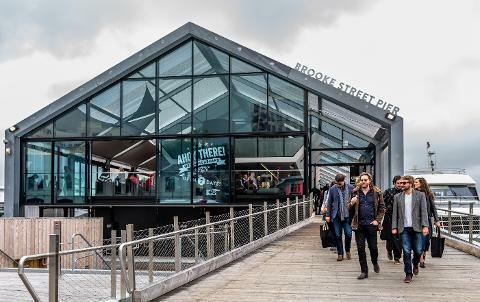 After meeting your guide at the base of the ramp at Brooke Street Pier, we begin the day with a complimentary tea/coffee over introductions at Bright Eyes. 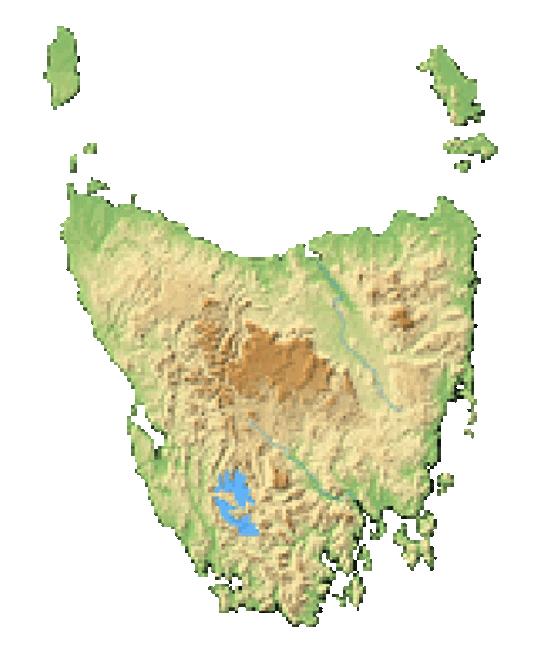 We’ll discuss Hobart’s infamous history dating back to 1803 and the role that alcohol played during settlement before departing for the Huon Valley. 1. 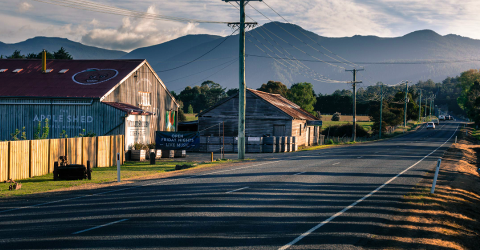 Home Hill Winery – We’ll drive down to the spectacular Huon Valley taking in the sights before arriving at the small village of Ranelagh and set amongst an immaculate vineyard with stunning mountain views, Home Hill offers the perfect representation of Tasmanian cool climate wines. Famous for its pinot noir and chardonnay varieties, Home Hill has been producing award winning wines for more than 20 years. We will sample half a dozen wines and have a rare opportunity to walk through their vineyard. 2. Pagan Cider – 15 mins down the road is the Pagan Cider House in Cygnet. Owner and creator, Harry Moses has a philosophy of celebrating the seasons, after spending just five minutes with the man you can’t help but be charmed by his passion for experimenting with flavours, maturation techniques and his desire to use Tasmania’s natural fruit bounty to it’s fullest. We’ll try ciders from their classic range, plus any special creations Harry has tucked away! 3. Willie Smith’s, The Apple Shed – The Apple Shed, owned and operated by Willie Smiths Organic Cider, tells the story of the valley, how apple orchards became integral to the area and the history of the Smith family legacy. We’ll sit down to a full cider tasting paddle of Willie Smith’s finest ciders from bone-dry to perry pear-cider. Willie Smith’s won Best Cider, Best Australian Cider and Best in Show at the Australian Cider Awards 2015, so they know what they’re doing! Plus we’ll have a look at their new distillery and taste some apple brandy. Fresh seasonal Tasmanian produce is available to purchase for lunch at the The Apple Shed from a selection of local producers. *Lunch to be purchased on the day approx $20-$25. 4. Lark Cellar Door & Distillery – After lunch we head back into Hobart to the Lark Cellar Door, home to the Godfather of Tasmanian Whisky Bill Lark. Here we will gather our troops for the afternoon and then head to the Coal River Valley to the home of award-winning Tasmanian Whisky. 5. Sullivans Cove Distillery – Located in Cambridge, this location is all about the spirit and the barrels. Awarded World’s Best Single Malt Whisky at the World Whisky Awards in 2014, Sullivans Cove is perhaps the most sought-after Tasmanian whisky. You’ll meet the distillers, tour the distillery and bond store and of course taste their award winning whiskies. (Mon-Fri tours). 6. Last Rites Brewery – Backing on to a graveyard, the boys at Last Rites brewery make some fantastic beers and aren’t afraid of trying something new. You’ll meet head brewer Phil, a chemist in a former life, who has turned his hand to making some of Tasmania’s most loved brews. We’ll get the chance to taste direct from the tanks, as fresh as beer gets and to sample the latest beers from the taps. 7. 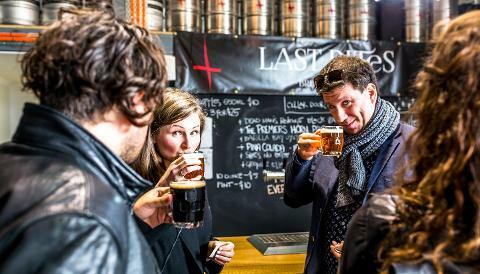 Hobart Brewing Co – A hidden gem on Hobart’s waterfront, we’ll finish the tour with a well-earned beer at what is fast becoming one of the local’s favourite after-work taphouse locations. With views of the mountain and the setting sun, this is the perfect place to end our tour and for guest to begin their night! When: Every Thursday and Saturday. Check the calendar for upcoming available dates. There may be other days of the week listed on a month-by-month basis due to industry operations. Approximately 8 hours. Where to meet: Brooke St Pier, Franklin Wharf, Hobart, 9am. You will meet your guide at the base of the ramp. Hobart, (just 5 mins walk from Brooke Street Pier). Number of guests per tour: maximum 11 guests per tour (contact us for information on larger groups). Minimum 4 guests. What to bring: Please dress appropriately for the occasion, while it may appear warm in Hobart, the weather can change throughout the day, so please ensure to bring warm clothes, comfortable shoes and your camera! Please note, while this is our usual itinerary, the locations may need to change on occasion due to industry operations and availabilities. Start times are fixed, however end of tour times can change slightly depending upon traffic and other factors.